A significant percentage of air passengers are indeed cost-conscious and would be only too happy not to incur avoidable expenses. To stay away from extra charges while flying, it is preferable to know all the things airlines charge extra. Blanket, pillows and other items. This is not to speak of add-ons, junk fees, hidden costs, surcharges, supplements etc. Airline companies cleverly use different nomenclatures but at the end of it all, it is the passengers who will have to incur these expenses. But with a little patience and the by asking a few simple questions, you can successfully avoid these extra fees. The finance professionals in airline companies suddenly discovered they could exploit the gullible passengers and make more money with extra fees. The airline passengers can notice the fuel surcharges and airport taxes itemized on any ticket receipt. 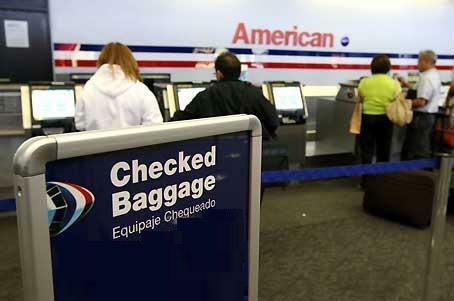 One assured way to avoid paying junk fees when flying is to not carry any avoidable extra baggage, not ask for priority seating and not to make any changes after you have bought the ticket. It is preferable to buy your ticket early, at least two weeks before the traveling date. It is sane not to ask for a blanket, extra food or beverages when on board. Fees for these additional items may differ vastly among airline companies - so do your fee homework before buying, especially unavoidable excess baggage and itinerary changes. Business class flights are an intermediate class between economy and first class. When you choose a business class flight, you van enjoy cradle seats with a 160-degree decline with optimum comfort. You can expect more leg room, complimentary alcoholic beverages and high quality menu options. But shrewd cost-conscious business travelers know they can often fly first class/ business class for almost the same fare as the economy class. There are several occasions when airline companies actually upgrade you automatically. The only thing is you should know how to manipulate your way into business class without paying the difference in fare. Please know that many of those people traveling in first class managed their seats for less money than you paid for your ticket in steerage. In fact, there are many ways-some obvious, several not-to fly first class without paying for it. The unpublicized secret fares are called Y-Up (or sometimes K-Up or Q-Up) fares and you should exercise patience and imagination to obtain these fares. These fares are obviously the best ways to fly upper class without paying for it. But you may find it difficult to access these fares as they are not available online. It is however believed that Matrix the Google-owned software powers the most popular travel search engines as well as many airlines and travel agents' tools. So, the other alternative is to contact your travel agent or some influential airline official to help you avail the preferential fare to fly in first class.